The difficult and unending hours spent to process payroll, payments, reporting and reconciliations are now over with the introduction of Remita Payroll. Access Bank and SystemSpecs, a pioneer software development company with focus on Africa, have entered into a partnership to deliver seamless services. Known as Access Bank Remita Payroll, the new service is another industry first by Access Bank, which provides organisations of all sizes with an extremely easy payroll processing and salary e-Payment on a single platform. The service also makes it possible for customers to easily process all salary-related allowances and deductions, as well as make automated remittances of funds and schedules for SSNIT contributions, tax payments and union dues, among others. According to the bank, one of the major advantages of the service, which is available online and on mobile, is its ability to fully eliminate the need for organisations to process payroll on one platform and then take the data to another platform to transfer salaries or send salary schedules to various banks. It further provides additional security and significantly improves operational efficiency and effectiveness. Managing Director of Access Bank, Kris Ifeanyi Njoku, indicated that the integration with the Remita Payroll System formed part of the bank’s long-term objective of meeting the needs of various organisations regarding payroll management. 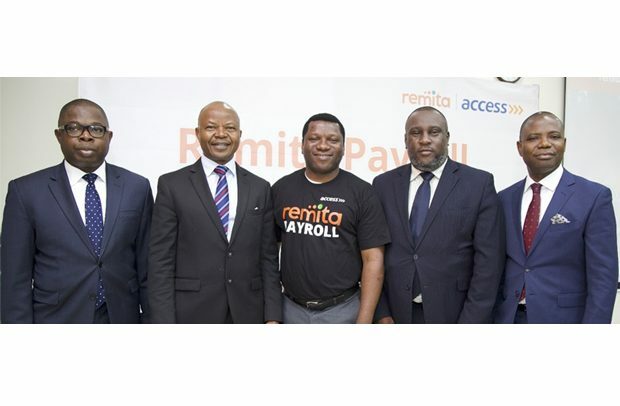 The introduction of Remita Payroll is also in line with Access Bank’s five-year strategy, which is expected to accelerate the bank’s growth and position it as a leading bank across its various operating markets by 2022. The bank’s strategy is underpinned by robust risk management together with high levels of automations to enhance the compliance and risk functions and drive customer insights.